The Loretto Hospital and the Nu Pi chapter of Omega Psi Phi fraternity have organized the event, which will be held from 11 a.m. to 4 p.m. Jan. 25 in the hospital’s sixth floor auditorium. Schedule an appointment in advance; walk-ins also are welcome. 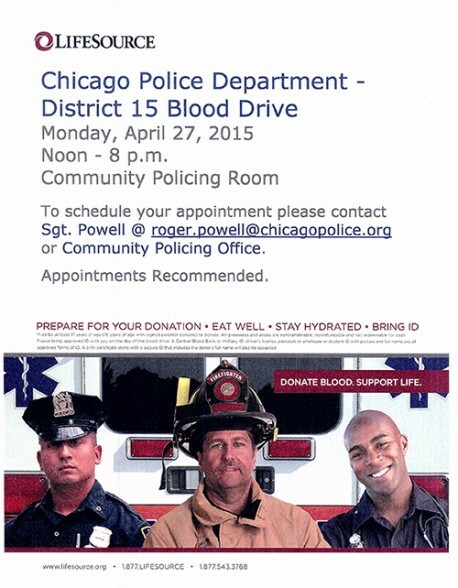 Schedule an appointment to participate in the event, sponsored by the Chicago Police Department’s 15th District. 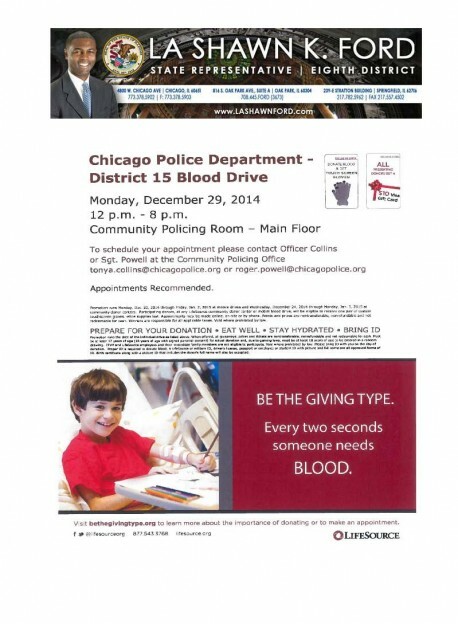 Schedule an appointment between noon and 8 p.m. Dec. 29 at the 15th District Police District, 5701 W. Madison Ave.